Complementing its “Climate Change Law” of 2009, and in the wake of “intensifying typhoons and storms” in the country (according to Business World Online, the Philippines experiences “at least 20 typhoons and tropical storms annually”) the Congress of the Philippines has passed a landmark bill to create a climate change adaptation fund called the “People’s Survival Fund.” According to the bill, the money from the fund (1 billion pesos annually) would cover costs for local governments to implement climate-proofed “land and water resources management, agriculture and fisheries, and health and natural ecosystems development…” As the 2009 Climate Change Law suffered from a lack of effective implementation, the creation of this fund is a welcome development. 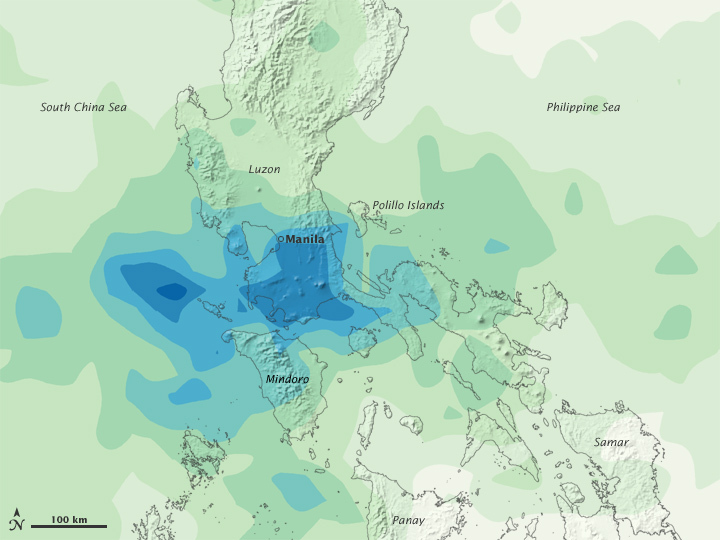 However, regional climate change projections suggest that resources needed for effective climate change adaptation in the Philippines my well exceed the amounts allotted. By Francesco Femia & Caitlin Werrell in climate and security on June 29, 2012 .